Disclosure: I was provided a copy of “Just Between Us” by Rebecca Drake for this book review. All comments included in this post belong to me.  This post contains affiliate links; learn more here. Happy 2018, friends! I hope the start to the New Year has been a good one for you. I love the blank slate the new year offers, especially when it comes to making a “to read” list. I have a long list of novels, non-fiction tomes, and memoirs that I want to dive into this year, and my goal is read 70 books by December 31. Do you have a reading goal for the year? I’d love to hear about it! I want to tell you about the first book I’ve finished on my quest to read as much good writing as possible—“Just Between Us ” by Rebecca Drake. “Just Between Us” is out today, January 9, from St. Martin’s Griffin Press, and I was invited to read and review the book here on the blog by the publisher. The book centers on the connection of four women—Alison, Sarah, Julia, and Heather—who live in a suburb of Pittsburgh. The women meet at their children’s school and become fast friends. 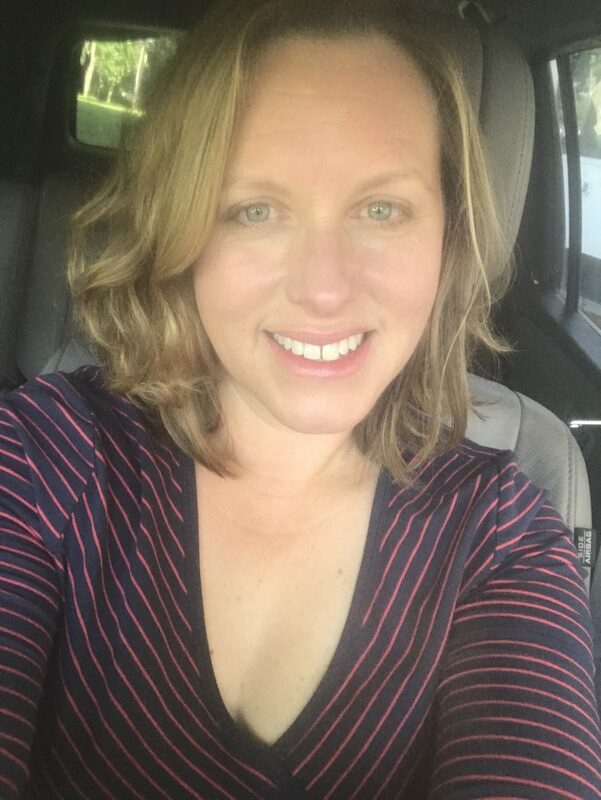 They are the kind of friends who meet for coffee after school drop-off, get together for playdates and girls night out, and help one another out with child care and errands. They are a tight group, and see their friendship as strong and fulfilling. However, they soon learn that friendships—even the best ones—can be filled secrets. When someone dies, they begin to learn about the depth of their connection and just how far they would go for a friend. The friendship between Alison, Sarah, Julia, and Heather is complicated and it’s what drew me into the book. It was a realistic portrayal of the way people interact. Friends can be kind to one another while being critical; they look out for one another yet avoid asking hard questions; they know everyday details but important moments from their pasts can be unrevealed. I was irritated when the (fictional) characters didn’t listen to me and made the bad choice I was warning them against. I threw the book down on my bed in disgust. My husband, reading next to me, looked up, startled. Sheepish, I explained, “The characters in this book are about to do something really wrong, and I’m mad at them. I have to take a break from this book. It’s stressing me out!” He gave me a quizzical look, the one you give when your partner has done something weird but you love them anyway and turned back to his own book. I stayed away from the book for three days. During that time, I found myself worrying about Alison, Sarah, Julia, and Heather, while I washed the dishes and folded the laundry. Then it dawned on me that I was invested in the outcome of “Just Between Us”—which is a sign of some good storytelling. I picked up the book back up to see what happened next and read all the way to the last page in one big spurt. One of the ways I became quickly hooked on “Just Between Us” was the author’s decision to alternative point of views, chapter to chapter. The story is told by all four of the friends, with each woman’s fears, concerns, and habits taking center stage when she has the microphone, if you will. This is a terrific strategy, as it allows nosy readers (like me) to get to know the main characters well. 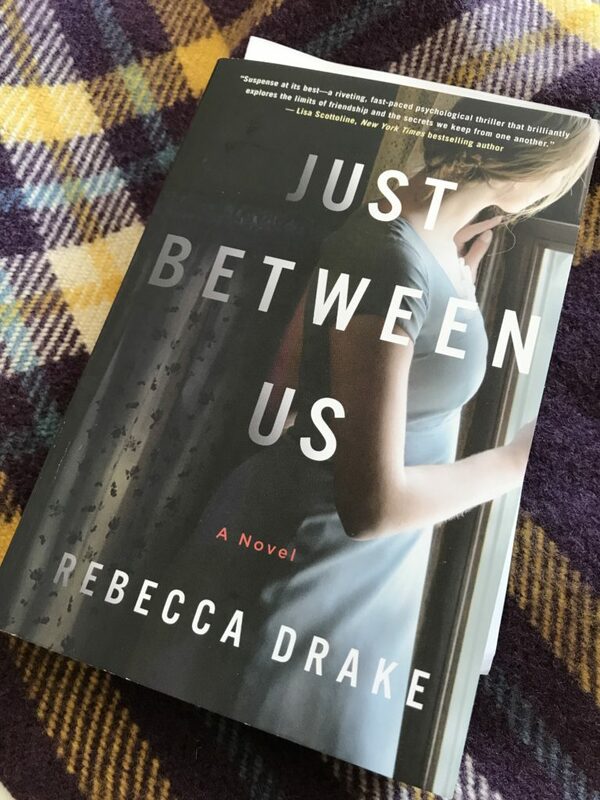 Recommendation: “Just Between Us ” by Rebecca Drake is great read for thriller lovers (take note that this is not a scary thriller; rather, it’s more like “what will next?” read) and those looking to see the different ways female friendships are explored in current literature. It’s a good read for a long trip where you can sink into the story, and I could see a Book Club having fun examining the characters’ motivations and decisions. Readers should be aware that domestic abuse is a storyline in the book.